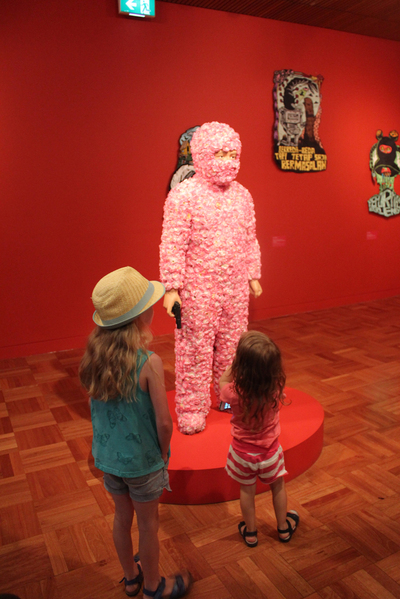 With the museum next door -It's rooms filled with mummies, dinosaurs, and giant squid- the Art Gallery of South Australia is sometimes overlooked as a place to take the kids. While it's not for everyone, most kids love art and they'll find plenty to enjoy even if the portraits and landscapes don't take their fancy. Like the museum, the art gallery is completely free unless you're heading to certain exhibitions. It's open every day of the year from 10-5, except for Christmas day. 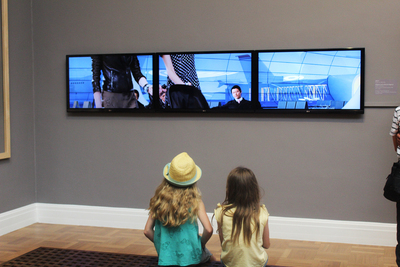 The Art Gallery offeres special programs designed for children. On the first Sunday of every month they offer START, a program designed to introduce kids to visual art. They combine tours of the museum, tailored to kids, with other activities and entertainment. 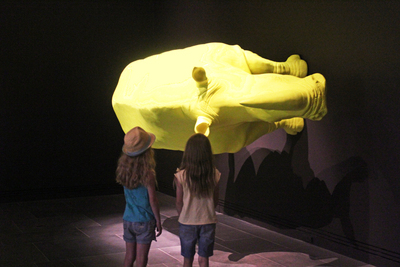 Like the rest of the gallery, kids can take part for free. 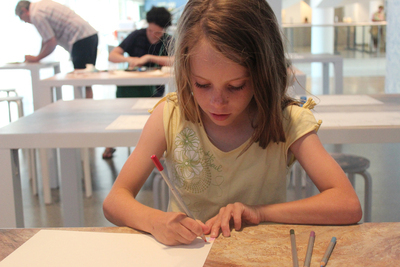 School holiday activities are $5 per child, and can include visiting exhibitions and related activities. 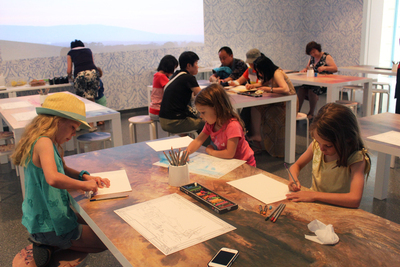 The studio is another popular spot for kids, an activity room that often relates to one of the current exhibitions. There will be activities that involve drawing, painting, or making, and it's for adults as well as kids. It's not just about special kids activities, the Art Gallery is a labyrinth of exhibitions and collections, and there's so much to explore. We went with the 4, 8, and 11-year-olds. 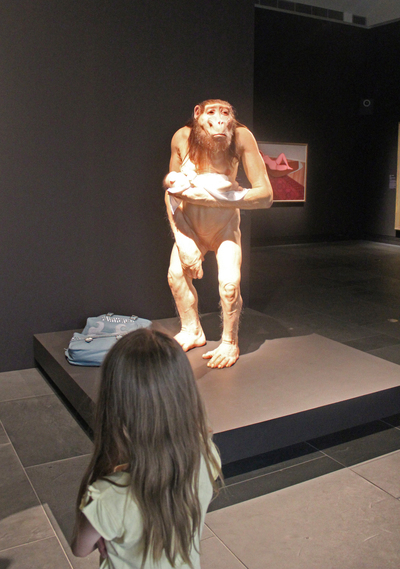 While the 4-year-old spend most of the time complaining about being hungry and tired she did find some time to roll around on the floor laughing at the baboon like bottom of Patricia Piccinini's Big Mother (apparently it was just "too funny! "), and she was quite captivated by a marble sculpture of a body under a sheet. The 8-year-old said that Big Mother made her feel a little uneasy, which lead to her decision that different pieces of art could make you feel different things. They liked some paintings and sculptures because they were pretty, some because they didn't understand them, and some because they were funny. Walking around an art gallery with a group of kids is actually a lot like walking around with a group of adults; half the time we don't really understand the art, but we know when we like it. Introducing kids to art can be fun for adults too, it's always interesting to take a look at art through their eyes. he Art Gallery is constantly changing, with new exhibitions all the time, thanks to free entry you can pop in for just 5 minutes or a few hours. Keep it in mind next time you're in town. 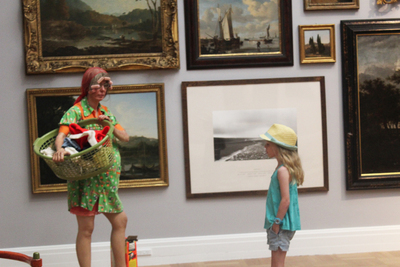 Do your kids enjoy visiting the Art Gallery?